Thank you for your interest in advertising at Life In Student Ministry! There are several basic options available that serve as a reference point. Download the media kit below and then contact me directly to talk more or pursue any of these options. I’m also open to exploring ideas that aren’t included in the media kit, such as some video intro sponsorships. 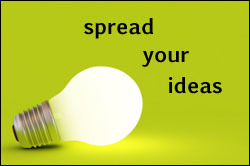 If you have a creative idea for partnering together, contact me and let me know! God bless you and your organization in your endeavors! Life In Student Ministry, LLC.